BOHIO Sazón, the secret to creating the authentic flavors of Puerto Rico's cuisine. 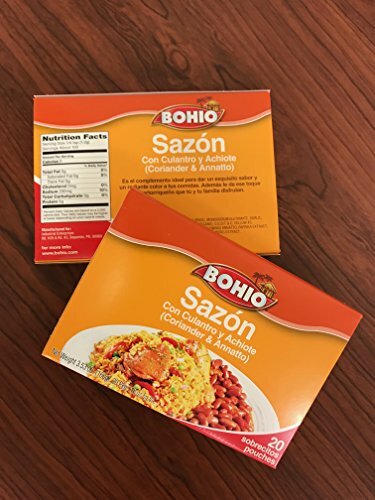 BOHIO Sazón's special blend of seasonings makes every dish taste truly exceptional. Just one packet makes a world of difference. Bohio Sazon, the perfect combination of herbs and spices that will make your cooking stand out for its flavor and aroma. If you have any questions about this product by Bohio, contact us by completing and submitting the form below. If you are looking for a specif part number, please include it with your message.